Researchers at the Kastler Brossel Laboratory in Paris have managed to store light that propagates in an optical fiber and to release it later on demand. By causing interaction between the traveling light and a few thousand atoms in the vicinity, they demonstrated an all-fibered memory. In the May 8th issue of the Physical Review Letters, Prof. Julien Laurat and his colleagues at Pierre and Marie Curie University report that they have devised optical memory integrated into an optical fiber. The team created a way to stop and store the light that usually propagates in a fiber at a speed as fast as 200,000 kilometers per second. 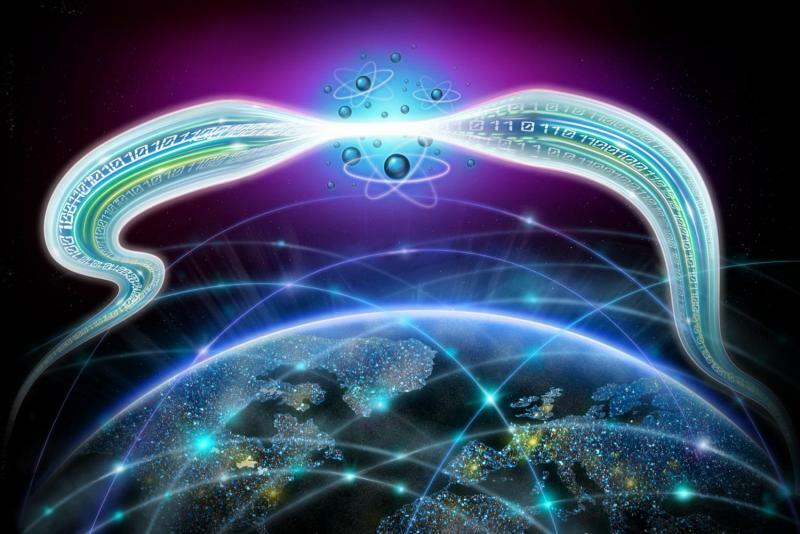 This capability represents an important advance in optical communications, as fibers are at the heart of our worldwide telecommunication system, but also for a future quantum Internet, in which quantum information can be transported and synchronized between interconnected nodes. "This work provides a demonstration of an all-fibered memory for light. We have been able to store the light and release it later into the fiber," says Baptiste Gouraud, a graduate student who designed this experiment and the lead author of the paper. "Previous demonstrations were based on free-space ensembles of atoms, not on a wave-guided implementation compatible with fibers used in networks." At the core of the device is a commercial fiber with a short section elongated to 400 nanometers in in diameter where the light can efficiently interact with a cloud of laser-cooled atoms. Using the so-called electromagnetically induced transparency technique, which is well-known in free space but combined here for the first time with a fiber, the researchers slowed down the light pulse by 3000-fold and then halted it completely. The information conveyed by the laser light is transferred to the atoms in the form of a collective excitation, a large quantum superposition. Around 2000 cesium atoms very close to the fiber were involved in the process. 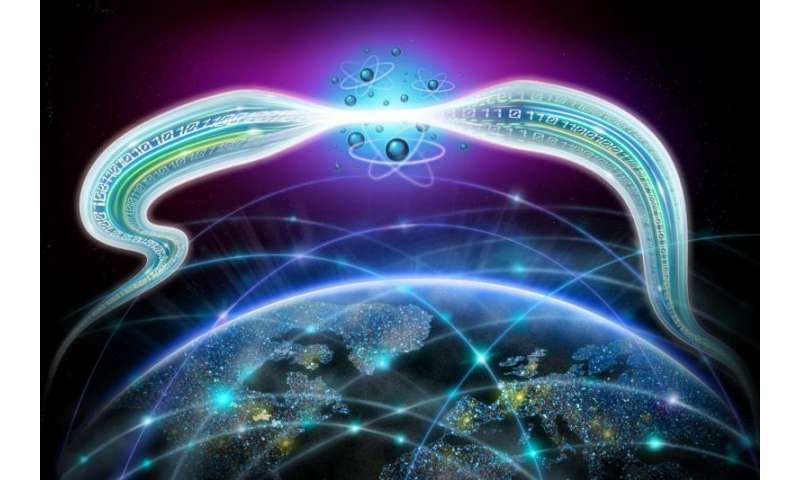 Later, after a programmable period, the light was released into the fiber, reconstituting the initial encoded information that can once again travel. Storage times of up to 5 microseconds were demonstrated, corresponding to a traveling distance of 1 km if the light had not been halted. The experiment by the Paris team also showed that even light pulses containing only one photon can be stored, with a very large signal-to-noise ratio. This feature will enable the use of this device as a quantum memory, an essential ingredient for the creation of future quantum networks.